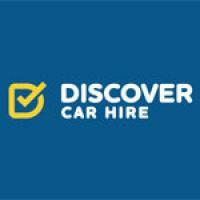 Budget Car Rental Review | Please make lots of photo's of the vehicle you hire ! Please make lots of photo's of the vehicle you hire ! Upon retrieval on 14-9-2018 at the desk in Luton I received the necessary forms that I had to sign. After I received the keys, I asked who would walk to the car to see any damage. The answer was that the man who normally does this was doing the shopping and would be back in about an hour. But it was not a problem, I was allowed to take the car with me, there are no damages at all on me. Of course I did not want to wait 1 hour and I walked to the car and looked at it critically and took pictures, also of a tiny dent in the left rear fender. When returning to the counter, they told me that these photos were sufficient evidence to prevent me from being charged for the damage already present. Then taken the car and returned nicely (without damage) after 3 days. A few weeks later I received a registered letter in which I was held responsible for the damage that I had already noticed at the time of the pick-up (the dent) plus scratches on a light-alloy wheel. the total damage would amount to € 469.46. Obviously, I went into defense by emailing them the photo of the dent I had already noticed. Unfortunately I did not take pictures of the rims because in my opinion they were not damaged. After sending a number of e-mails back and forth in which they themselves admitted that their documentation was not in order, they finally admitted that I had not done the dent in the rear fender, but the scratch on the rim. Since it is not worth it to involve legal aid for this amount, I left it that way, but I strongly advise everyone not to rent a car at Budget / Avis! 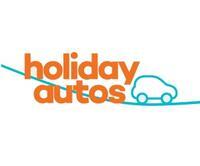 In principle, all car rental companies lure you with cheap rents on their sites but do not mention that the e.e.a. has to be added such as tax and I know what nonsense. Tenants are also all set aside to take out additional insurance when they pick up, which is often not even necessary. But if you are at the counter there, you will often be intimidated in such a way that many people take out that extra (expensive) insurance. You can better see if you can purchase a credit card with which you are insured against a certain amount (often € 500, -) against the damage that comes under your own risk. You can also take out insurance in the Netherlands to cover all "own risk" damages, which costs only € 5.50 per day (at Allianz). That is much cheaper than being confronted with this kind of rogue practices. Also, pay attention to the level of the deductible if the car is stolen, which can also be quite high! In short, as I said, basically all car rental companies are in danger, but I strongly advise you not to do business with Budget / Avis!